Some other polaroids i took this week. All taken with my polaroid 600. House of Orange is a Dutch agency for stylists, models, photographers and make up artists. Lately i've seen lots of great work from artists that are represented by HOO. Last for today, some cute outfits from Dutch girls from the Ellegirl forum, where i used to spend quite some time, but i've overcome my addiction. Where is that T-shirt from!!!! 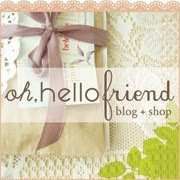 And i love love the photos from House of Orange.. amazing! Missy, think she made it herself! Your polaroids are wonderful - I hope you enjoy making them as much as we enjoy looking at them! I love the photo of the shoes flying in the air, it has such a sense of freedom - I like that so much! I really love the photos you took - they are so beautiful. Polaroids have such a whimsical quality, I love them. Lucky you for having a camera!!! Yes its heartbreaking how expensive polaroid film is. I still have 5 packs in my fridge, that I am 'saving'. Gorgeous pics you have shared here as usual. Even if you don't have a filter your Polaroids are beautiful none-the-less. I love the ones of the china--the colors are so lovely, and it's so cute that you collect pretty little tea cups and plates. And the photographer Femke Reyerman is amazing!! Wow that second picture is just out of the world beautiful. I love how the girl just blends into the background, quite lovely indeed. I love your polaroid photos - they're so beautiful! geweldige foto's met je nieuwe polaroid: de kleuren zijn echt mooi! Geweldig die polaroids gemaakt in het bos, heel mooi gemaakt! En vind Luella toch zo'n style chick he, love all haar outfitjes! Lovely polaroid pictures Mila! Especially the ones outside, beautiful! Your polaroid are lovely, and so are your outfits. thanks for the lovely comments, dearie! Lover, I absolutely adore Camille Y. She has such an incredible way about her - everything I've seen her in has blown me away. I miss you and hope all is well! i am sorry to hear that, i sincerely hope you will feel happy again soon enough. Lovely lovely polaroids, seems the beutiful effect far outways the cost. I really love every picture you took you have such a talent! You've done such lovely work with your polaroids again.